Writing the following question, I am filled with trepidation and frustration: Does every fact that is publicized need to be checked out personally? For the past week, I have been unable to fathom how an ultra-Orthodox person dared delay an El Al flight for more than an hour. How did such a thing happen? Who dared to act with such audacity? Which cabin crew members allowed him to behave like that? Of course, I was certain that the facts were correct. After all, they were published everywhere, and people talked about the incident. So the facts simply had to be correct. 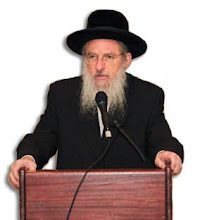 “Dear Sivan, I was on that flight from New York, the one that the media reported ‘took off an hour and a quarter late because of the Haredim.’ My wife and I celebrated our silver wedding anniversary and at 6 p.m., we were supposed to take off on our way home. However, before we even boarded, there was an announcement of a 45-minute delay and take-off would be at 6:45 p.m. The same information appeared on the screen in the departure lounge. Of course, the delay had nothing to do with any of the passengers. “Boarding took a long time, ’till at least 7:10, I believe. My guess is that the whole business with the Haredim didn’t take more than five minutes. Of course, I am not justifying their behavior and one should not cause a delay of even one minute. I am Haredi myself, but I have never seen such behavior like theirs. I certainly do not intend this post to defend those two passengers. I do want to ensure that it will defend 8 million people from a heated public debate which has no basis in fact.